Family-friendly pizza restaurant at the corner of Chicago Avenue and Davis Street. 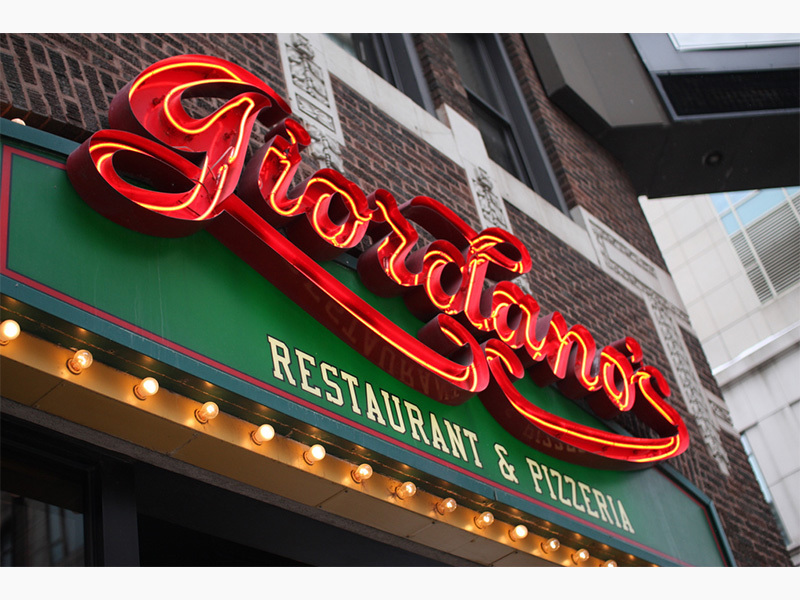 Famous for it's famous stuffed pizza, Giordano's also serves thin crust pizzas, great starters, fresh salads, outstanding pastas and unique sandwiches. Giordano's creation began in a small northern Italian town near Torino. Mama Giordano was famous around town for her exquisite cooking. Of all her renowned dishes, her most beloved meal was her “Italian Easter Pie”. Mama Giordano would serve this double-crusted, cheese stuffed masterpiece every year for Easter. This pizza pie became a sacred tradition in the Giordano family and a legend in the town of Torino. Years later, original owners and Italian immigrants Efren and Joseph Boglio moved to Chicago to start their own pizza business. The brothers introduced their Mama’s recipe for stuffed pizza. In 1974, on Chicago’s historic south side, Efren and Joseph opened the first Giordano’s. 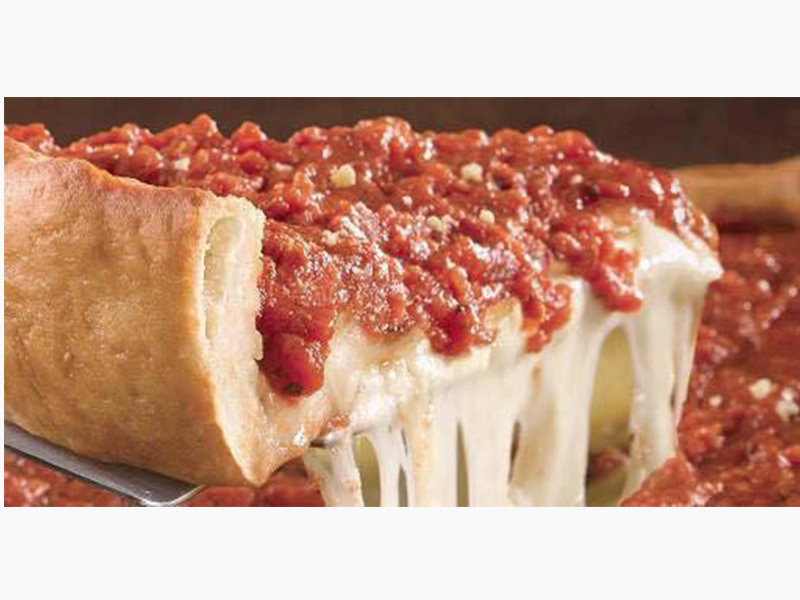 Over the next 40 years, hundreds of critics announced Giordano’s as the city’s “best” stuffed pizza!